A great weekend to bet on boxing is coming up, the two best pound for pound fighters in the world will step into the ring on Saturday, September 10, Gennady Golovkin vs. Kell Brook and Roman Gonzalez vs. Carlos Cuadras; the line for both fights is actually affordable, all things considered, with Golovkin as a favorite at -750, Brook +525 and the exact same odds for Gonzalez vs Cuadras (Gonzalez -750, Cuadras +525). There are also another couple of good fights in the undercard that make for interesting wagers, first we have as part of the Gonzalez-Cuadras undercard: Yoshihiro Kamegai -160 vs. Jesus Soto Karass +140 (love the underdog here), and as part of the Golovkin-Brook card: Lee Haskins vs. Stuart Hall for the IBF World bantamweight title, Haskings is a -420 favorite and I believe he will be taking the belt home. 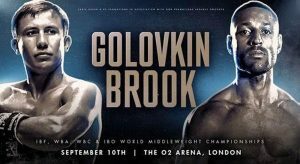 Want to bet on Golovkin vs. Brook? Both fighters are undefeated, Golovkin is the WBA/WBO/IBF/IBO world middleweight champion, all titles but the WBA are on the line for this fight, reason is simple, this is Kell Brook’s first fight in the middleweight division so the WBA will not sanction the fight; Brook is the IBF world welterweight champion, and he is going up two weight divisions to face dangerous GGG. Brook is a fine fighter; he is skilled and has decent power, with a KO rate of 69%… as a welterweight. Brook is actually a big welterweight, he is 5’9 and has a 69” reach, Golovkin is slightly bigger 5’10 ½ tall and has a 70” reach … so it’s not the mismatch everyone thinks… the main problem for Brook is that this is his first fight as a middleweight, he really doesn’t know yet what his power will be like being this heavy, he doesn’t know how fast he can actually be either, and he will be testing all this for the first time against non-other than the best middleweight boxer today. I believe Brook will put up a fight, spectators will be entertained, but Triple G will come out victorious … KO or Decision? I’ve already placed my bets at Ace Sportsbook.com on Golovkin by decision. 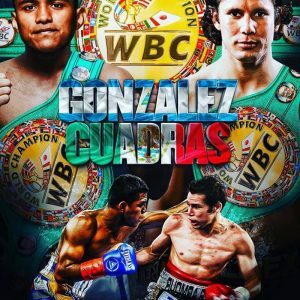 WBC World Flyweight champion Roman “Chocolatito” Gonzalez wants to conquer a fourth weight category, he is moving up to super flyweight and challenging current WBC world Super flyweight champion Carlos “Principe” Cuadras. Both fighters have a perfect record, but Cuadras doesn’t have the experience that Gonzalez has, nor has he faced opposition of the level of Gonzalez. I expect a good competitive fight but Chocolatito will dominate. Decision or TKO victory for Chocolatito Gonzalez. If you enjoy betting on boxing matches as much as I do don’t miss the action this weekend, place your bets at AceSportsbook.com.